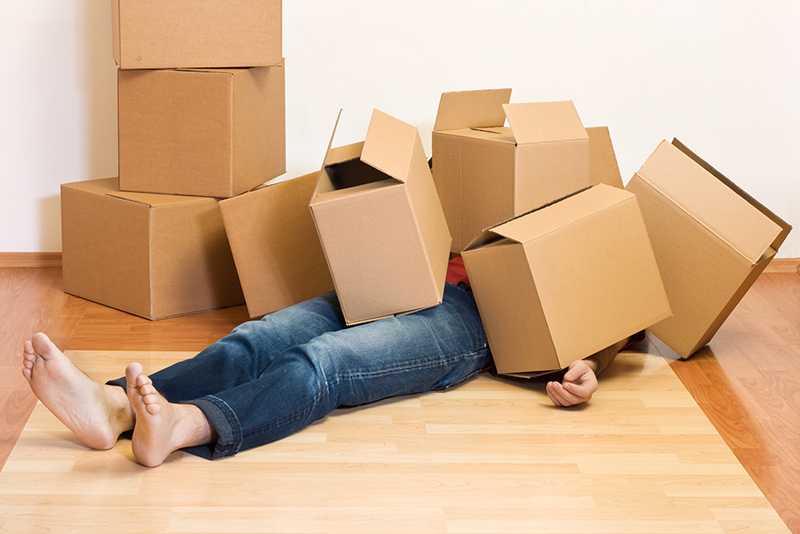 After you have bought or sold your home, the next challenge emerges: MOVING. When homeowners are attracted to the perceived monetary savings of a self-move by using a truck rental or portable moving container, they soon realize that many other factors need to be taken into consideration. Sometimes underestimating how much to pack can be overwhelming. – Do you have people available to help with the packing and loading at both origin and destination? – Do you have fragile items that will require special handling? Do you have the knowledge and tools to crate them as needed? Are you prepared to be responsible for any damage or loss of property? – Will you need to rent additional equipment/ supplies/ hired-hands to move larger items such as appliances? – Did you add applicable costs like packing materials, extra insurance, gas, tolls, lodging, day labor, and meals to get a true cost of the self-move option? – Are you going to miss work while packing and driving across country? This should also figure in to the total cost of a self-move as well. If you’re stressed by moving, sometimes the financial costs of professionals outweighs the personal cost of stress. For most families and active adults that are moving, the peace of mind, convenience, and personal touch of professional movers is tough to beat. Self-moving can be a great option for people with small households and in good physical condition, or at least have a large pool of friends and family volunteers that will work for pizza (and know how to safely and efficiently pack your worldly possessions). As always, we here at Berkshire Hathaway HomeServices Snyder & Company Realtors are here to assist you with any of your Ann Arbor home buying, home selling, rental or other Ann Arbor area real estate needs. Call us at 734-747-7500 or 734-747-7700 weekdays, or 734-660-0105 evenings and weekends. We’re also available via email at info@bhhssnyder.com. Choose Berkshire Hathaway HomeServices Snyder and Company for the best Ann Arbor Realtors!